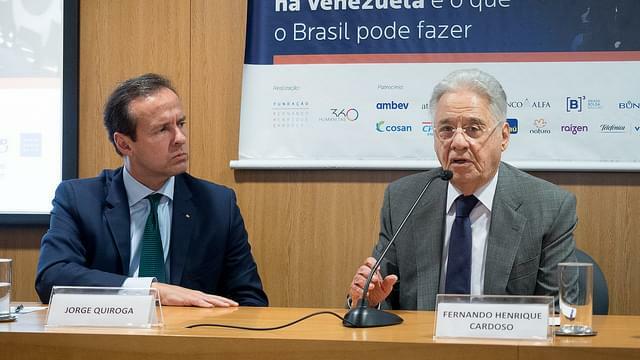 From left to right: Jorge Quiroga (former President of Bolivia); Fernando Henrique Cardoso (former President of Brazil). Manuela Bolívar (Federal Deputy in Venezuela) speaks during the seminar about the Venezuelan crisis. 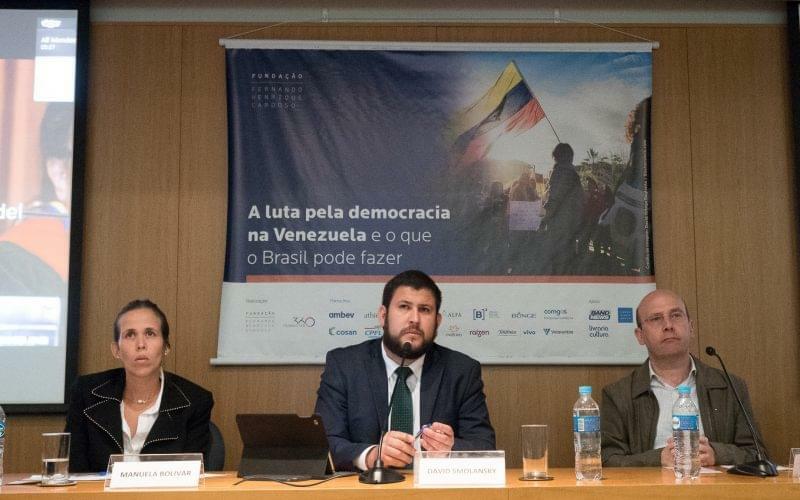 From left to right: Manuela Bolívar, David Smolansky and Sérgio Fausto. 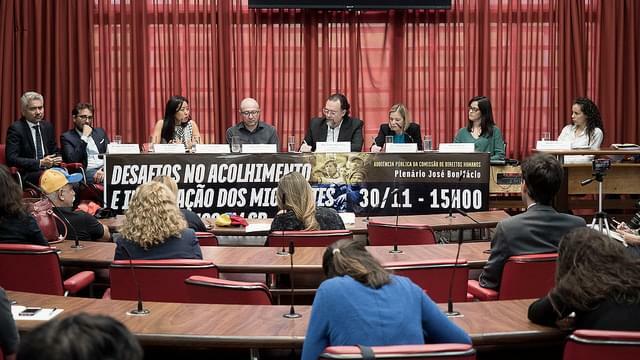 Public hearing at the São Paulo Legislative Assembly. Carlos Bezerra Jr., president of the Human Rights Commission of the São Paulo Legislative Assembly, opens the public hearing. 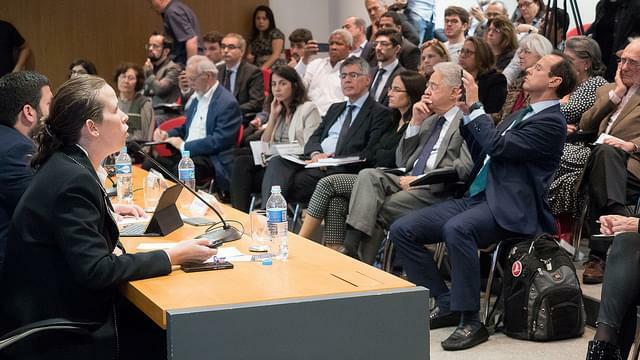 Piero Bonadeo speaks during the public hearing at the São Paulo Legislative Assembly. Venezuela is undergoing a humanitarian and institutional crisis that affects the lives of millions of Venezuelans and the Latin American region as a whole. As Humanitas360 recognizes the importance of being connected with this issue, the institute has been working with partners to create spaces for dialogue around the topic. In the second semester of this year, H360 and the Fernando Henrique Cardoso Foundation organized a seminar entitled “The fight for democracy in Venezuela and what Brazil can do about it.” The event included presentations and debates with Fernando Henrique Cardoso, former president of Brazil, Manuela Bolívar, Venezuelan federal deputy, Jorge Quiroga, former president of Bolivia, and Tamara Taraciuk, senior researcher at Human Rights Watch’s Americas Division. 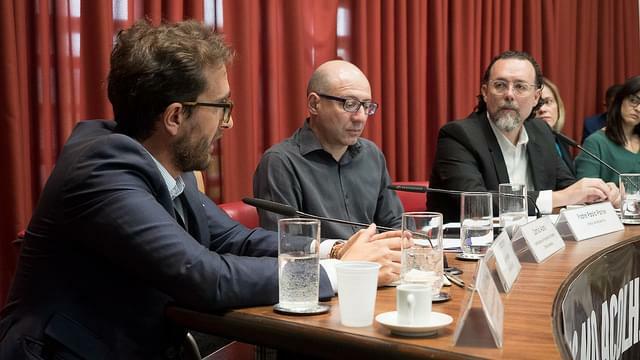 Most recently, Piero Bonadeo, H360’s vice-president, was invited by Brazilian state deputy Carlos Bezerra Jr. to participate at a public hearing of the Human Rights Commission of the São Paulo Legislative Assembly. 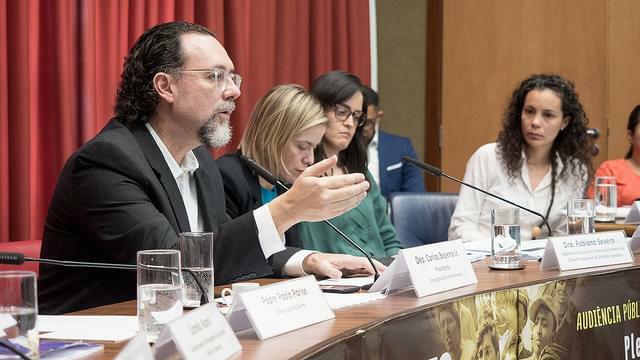 The hearing had the objective of raising awareness about the challenges of welcoming and integrating Venezuelan migrants in the city of São Paulo. 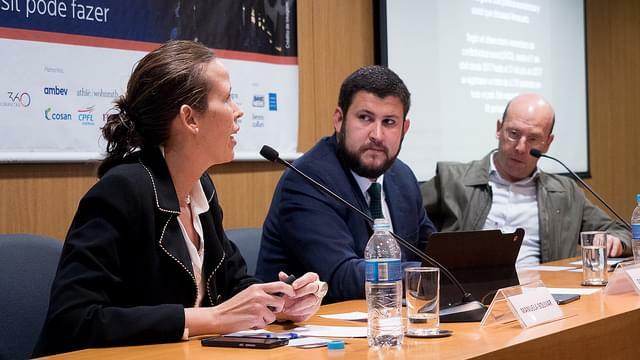 The panel discussion also counted with the participation of representatives of other organizations including Conectas Human Rights, UNHCR Brazil (the UN Refugee Agency), Federal Public Defense Agency and the Attorney General’s Office.